Do I Need A Tax Attorney? Building a business is a process that requires careful attention to many individual points, all with the goal of increasing customers, improving products, and building profit. There are many elements that contribute to the ability of a company to grow. One key area to focus on is the budget. From the foundation of the business, a well-planned budget can create a financially sound business with clear directions. To achieve that, consider these nine key ways to create an effective budget that spurs and guides the growth of your company. It is impossible to create a budget without knowing where your money is going. To that end, business owners need to pay careful attention to every expense the company has. This should include expenses related to running the business such as marketing, employee costs, and property costs. Create a system where every dollar spent for the company is carefully tracked. While this type of oversight may seem intense, it gives you a foundation from which to build. Now that you know where your money is going, the next step is to know if you are overpaying in any area. For example, you may be able to reduce your overhead on employee labor by improving your scheduling methods. You may be able to reduce your inventory purchases to be more in line with what you need right now to improve your working capital. Look at each item to determine if it is worthwhile or if there is a less-expensive solution. With this information in hand, it becomes possible to then build a budget. A variety of software programs, as well as the help of an accountant, can help you to do this. The goal here is to ensure that the amount you allocate to each expense matches what you are currently paying or your revised amount. In short, it is accurate. When changes occur over the month, you can spot them easily and take action to rectify your budget. You cannot know how well your business is doing or how it can grow without having access to in-depth information. Clear, accurate reports delivered to you can show your current profit and loss. They can help you understand sales patterns. They can also break down information based on the specific types of profit margins various items bring in and which do not pay for themselves. A tax professional is more than just a pro to file your end-of-the-year taxes. Now that you have a professional on hand, you can use this team to help you build a realistic, accurate cash flow projection for the next month. You can extend that to include cash flow goals for the next six months and then for the year. By having this present, you can see where your growth is occurring as well as any limitations within the process. It sounds like a personal money management step, but one of the most costly components of growing a business is expanding assets, building space, marketing, or other large investments. Your business has working capital, but do you have a growth account? This is an account that you are saving in to allow your business to make large purchases down the road. It can also help a company to manage costs in financial emergencies or situations where they need a significant amount of cash on hand. By having these funds, you do not have to tap into costly credit and loans to grow. Debt is one of the most taxing of components in managing a business. Debt is expensive. Every dollar you spend on interest payments is money not going toward helping your business to grow. Work with your tax professional to understand your company’s current debt, cash flow needs, and allowances that could be used to pay down debt faster. Create an aggressive plan to reduce your company’s debt so that you can free up more capital for short-term and long-term investments. Companies that have their financials in line are likely to begin to see profit more readily. With that comes the ability to grow. Some companies may wish to be aggressive here. Instead of borrowing for another location or launching a new product based on costly debt, begin to move a percentage of all profits toward the business’s growth plan and investments. It’s important for companies to recognize growth as a cost of doing business. For example, if a company has a 25 percent margin for profit on every sale, recognize that to just 20%. Tuck the remaining 5% into an investment for future growth. In other words, see investing in future growth as an expense for your company now. This way, you begin to readily put money aside. What is your goal? How does your company foresee growing revenue, providing more services, or otherwise scaling? Work with an accounting firm to create a solid plan of action. This should include outlining all goals for the company (for a year, five years, and so on). Then, create financial expectations for the next six months and year. Your growth plan should also include all costs of growth – as well as any expected investments necessary to build that long-term picture. By focusing on each one of these areas, with the help of accounting professionals, it is possible to build a solid growth plan that addresses every need the company has. You cannot simply say you want to increase customers by 100%. You need a plan based on your financials to get you there. 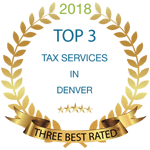 Disclaimer: Blogs and articles by True Resolve Tax Professionals are for educational purposes only and to give you a general understanding of the law, not to provide legal or tax advice or be used as a substitute for competent tax and financial assistance from a licensed, professional in your state or jurisdiction. Use all blogs and articles at your own risk. The information presented may not reflect the most current legal developments or tax laws. These materials may be changed, improved, or updated without notice. True Resolve Tax Professionals is not responsible for errors or omissions in the content of this site or for damages arising from the use or performance of this site under any circumstances.